Hello Linux Geeksters. 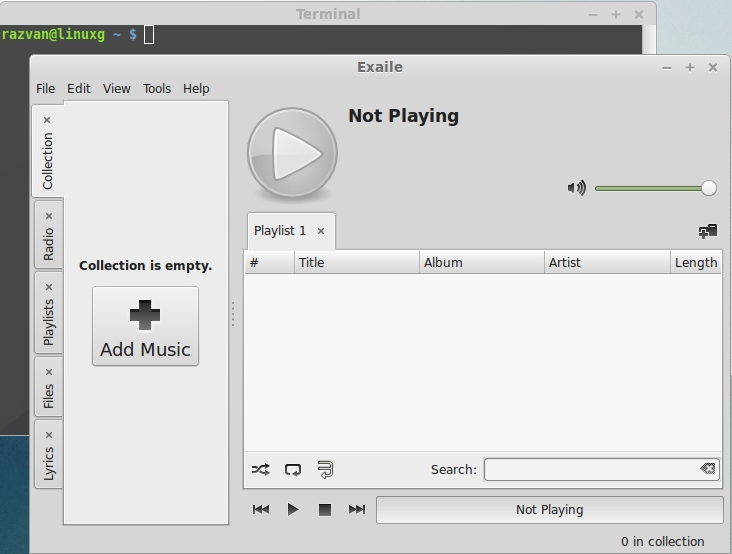 As you may know, Exaile is an open-source cross-platform music player based on GStreamer, based on Amarok 1.4 and developed by using the GTK+ libraries. Among others, the music player has support for playing the most popular audio files and manage web radio stations, import album art for songs and display lyrics, it has support for playbacking files via last.fm and has a multi-band equalizer. The application includes the below plugins: cover art search (Last.fm, Amazon), iPod Support, Dynamic Playlists, Equalizer, Karaoke, ReplayGain, Desktop Cover, Mini Mode, Moodbar, Multimedia Keys, LyricsMania, Icecast Radio, Podcasts, AudioScrobbler, NotifyOSD, Streamripper, Group Tagger, Alarm Clock, Inhibit Suspend. The latest version available is Exaile 3.4.0, which has been recently released, including over 60 bug-fixes, new features and extra third-party plugins. It got support for the udisks/udisks2 feature which includes an option that allows the users to change the audio output during playback, an enhanced graphical user interface has been implemented, displaying the playlist into multiple boxes. 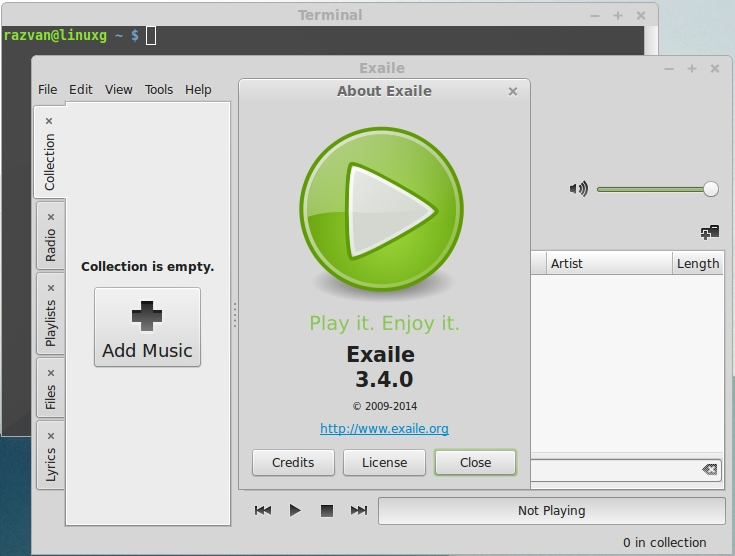 In this article I will show you how to install Exaile 3.4.0 on Ubuntu 14.10 Utopic Unicorn, Ubuntu 14.04 Trusty Tahr, Ubuntu 12.04 Precise Pangolin, Linux Mint 17 Qiana, Linux Mint 13 Maya, Pinguy OS 14.04, Elementary OS 0.3 Freya, Elementary OS 0.2 Luna, Deepin 2014, Peppermint Five, LXLE 14.04, Linux Lite 2.0 and other Ubuntu derivative systems.